Patrick Lynskey (third from left), Connaught Rangers, 1918. Bridget & Patrick Lynskey, c. 1920s. Claddaghmen in their RNR uniforms. 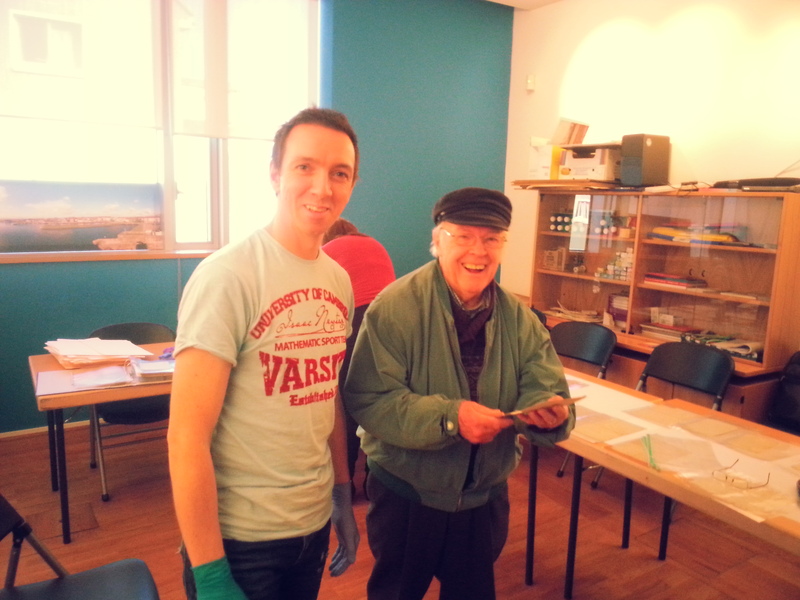 Greg Quinn & Michael Lynskey helping out at Galway City Museum. Dad was born in Bohermore. He always looked up to the soliders and joined the Connaught Rangers. I asked him one day, it must have been awful, just before going over the top. He said “we were all dying to get over the top because the trenches were being shelled, the Germans knew there was going to be an attack so they bombed and blasted the trenches with all the ammunition they could”. I said to him, “were you not afraid of getting shot?” He said “you got shot or blasted, which one is better because those shells used to come raining down”. He also said, one night, when they did go over the top advancing toward the German line, one of his best friends got shot. They didn’t get as far as the German line and they had to retreat. His friend got shot in the leg and couldn’t move. When he got back to the trench, he crawled back out and pulled him back in again. He said he would have gotten an award for it but no one really saw it except a sergeant; seemingly, it needed an officer’s presence there to witness it. The war did have an effect on him because he was a very, very strict man. What he said was law, you would never oppose him. We had a big family of 9 children – he was the corporal and we were his soldiers; he thought he was still in the army, strict discipline and obedience at all times. But, at the same time, very fair – he would never let anyone get the better of someone else. He had no time for the mutiny in 1921 [Connaught Rangers Mutiny in India]; he was telling me that some fella from Mayo, some country fella, started it. And what did that get them? Nothing, they all lost their pensions because of it – demobbed from the army, mutineers they called them. The 1916 Rising, he said, “they stabbed England in the back. We were just over the Battle of the Somme, it was bad enough fighting the Germans on the front but they also had to fight the Irish back home”. Oh, a real Brit, I’m afraid. There were some mixed opinions in the Claddagh when they settled here after the war but the Claddagh men were not politically minded. They were fishermen trying to scrape a living out of fishing so never got into politics. 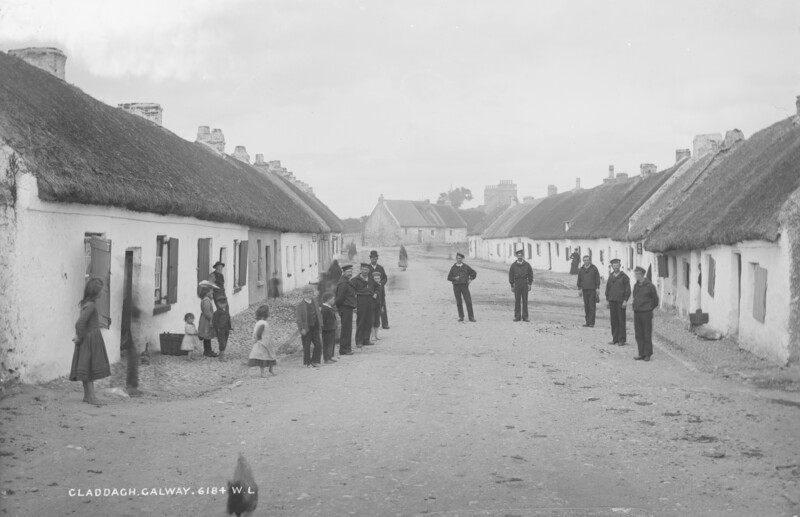 A lot of Claddagh men were sailors in the British Navy during the War so nearly every house had somebody that served during the War so it was a very British village. Especially the navy, my mother used to say the band would come around in lovely uniforms and coaxing all the Irish guys to join …. “you’ll see the world; we’ll pay you; if you’re married, we’ll pay your wife” … oh yeah, big attraction. 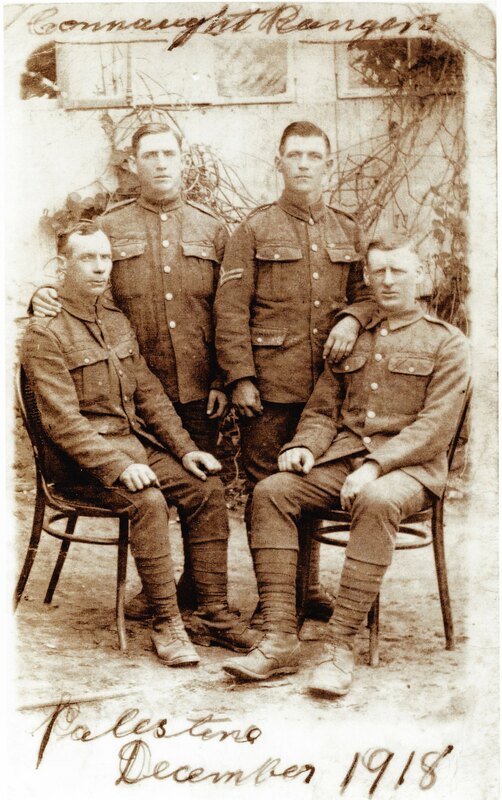 I feel very proud the part my father played during the Great War, very proud indeed. It knocked off on me, I couldn’t wait to join the army, since I was a little boy and joined the 1st Battalion of the Royal Inniskillings Fusliers in 1951 in the hope of fighting in the Korean War, that’s how foolish I was, the soldiers blood was running through my veins. Michael Lynskey (son of Patrick Lynskey), King of the Claddagh, 2014. Interesting story. I was anxious to learn more about Patrick after visiting the museum in Galway. 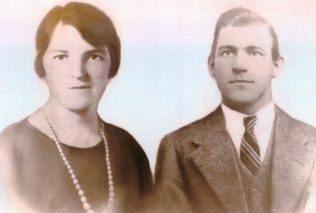 My Lynskey family left Galway to go to Liverpool then to Connecticut USA in 1861. Would love to know if related to this brave Lynskey.